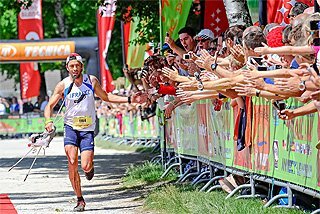 Statisticians Mirko Jalava (FIN) and A. Lennart Julin (SWE) continue their ‘End of season’ event category reviews, which cover all athletics disciplines, highlighting the best performances which have taken place across our sport in 2012, with MIDDLE DISTANCE. The men’s middle distance season was all about the 800m Olympic final in 2012. Whatever happened before and after that could easily be pushed aside, the performances by all runners in that race were so powerful. A world record, world junior record and the best all-time results for places 1-8 are there to show for it and all this in a race with no pacemaker with the Olympic champion and world record-holder David Rudisha of Kenya leading from start to finish. Rudisha only lost one of his 11 finals last season, but was unable to break his own World record from 2010. The 2012 season was almost perfect too with Rudisha posting several fast times with five out of five wins before the Olympics. A 1:41.74 win in New York followed by 1:42.12 in Nairobi at the Olympic Trials and 1:41.54 in Paris suggested the Kenyan was the top candidate for the gold in London, but the question remained could he do it in the final with no pace-maker. It’s not as though the field in London was full of runners capable of challenging him as no other finalist had broken 1:43, while Rudisha had posted the four fastest times of the season prior to the Games. 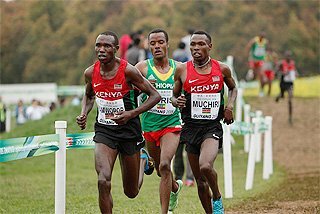 To make it even more interesting, in addition to World silver medallist and two-time World indoor champion Abubaker Kaki of Sudan, there were three junior athletes at the top of the event. Eighteen-year-old Nijel Amos was the fastest of them prior to London having set the Botswana national record 1:43.11 in Mannheim in June, while another 18-year-old, Mohamed Aman, ran 1:43.51 in May following his surprising World indoor title in Istanbul two months before. The third junior, 17-year-old Timothy Kitum, came to London with a 1:43.94 personal best from the Kenyan Olympic Trials where he placed second behind Rudisha. The London final was something else. For those wondering what will happen in the final, the script was clear after the first bend had been completed. David Rudisha took the lead with great pace, reaching 400m in 49.28. People expected him to fade after the fast start, but it didn’t happen and despite a quick opening 400m he posted an unbelievable 51.19 second lap to clock 1:40.91, bettering his own World record by 0.1 seconds. It was Rudisha’s third career World record, but what happened behind was nothing short of amazing. Seven out of eight athletes set a personal best with the eighth one running a season’s best, while two 18-year-olds grabbed medals behind Rudisha. Although Amos had shown class before the Olympics, it was still a huge surprise he could stay so close to Rudisha in the final straight to win an Olympic silver medal less than a month after winning the World junior title in Barcelona. His time – a national and World junior record of 1:41.73 – was exactly the same that Sebastian Coe clocked in 1981 for a World record which stood for more than 16 years. Amos’s progression since 2011, when he ran a 1:47.28 national junior record for the fifth place at the World Youth Championships, was just phenomenal. To drop more than five-and-a-half seconds off his personal best in one year is not a small feat. Kitum grabbed a second medal for Kenya with a third-place finish in a 1:42.53 national junior record, almost 1.5 seconds faster than his previous best. Kitum was the bronze medallist in the same 2011 World Youth Championships race where Amos finished fifth. American Duane Solomon was fourth in a PB of 1:42.82 as compatriot Nick Symmonds clocked a PB of 1:42.95 for fifth. 18-year-old Aman broke his own Ethiopian record with 1:43.20 for sixth while Kaki was seventh in a season’s best of 1:43.32. Briton Andrew Osagie became the fastest ever eighth placed athlete in a PB of 1:43.77. But the 800m season wasn’t really over after the Olympic final. There was another showdown in Zürich where Aman surprised Rudisha in another fast race, winning in 1:42.53 against Rudisha’s 1:42.81. Kenya tops this event with 21 athletes in the world top 100. United States is a close second with 19 and Brazil third with six. The 1500m season wasn’t bad either with three athletes clocking times under 3:30 a total of five times, all from Kenya. 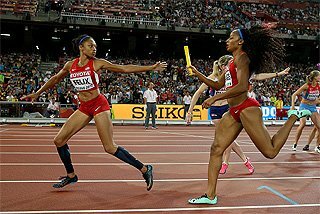 The season got off to a good start in May in Doha with two athletes dipping under 3:30 early in the season almost side by side – something no athlete managed in the whole of 2011. 23-year-old Kenyan Silas Kiplagat won in 3:29.63, following that with a win at the Kenyan Trials in July, making him one of the favourites at the Olympics. Reigning Olympic champion Asbel Kiprop was second in the early Doha race in 3:29.78 but in July improved to a world-leading 3:28.88 win in Monaco, the last meeting before London. 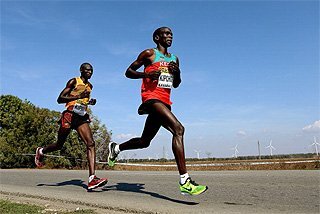 Kiprop, who also won the 2011 World Championships, had never finished lower than fourth at a major championships, but at the Olympics he struggled with a minor injury and finished 12th in the final. Fellow Kenyan and the third sub-3:30 runner of 2012, Nixon Chepsheba, was similarly disappointed with his 11th-place finish. Always a fast finisher, Algerian Taoufik Makhloufi handled the sprint finish nicely taking his first major medal, an Olympic gold, in 3:34.08. 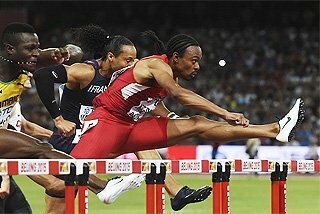 Although he had run 3:30.80 for fifth place in Monaco, his performance in London came out of the blue. The athletes placing in the next four places were also quite surprising with Leo Manzano winning the silver for the United States in 3:34.79. US champion Manzano had done little before the Olympics, finishing 11th in the Mile at Crystal Palace in July, his only race in Europe prior to the Games. Moroccan Abdelaati Iguider continued well following his triumph at the World Indoor Championships in Istanbul. The 25-year-old raced only twice outdoors before London, but still won the bronze in 3:35.13. Another American, Matthew Centrowitz, was a surprise fourth in 3:35.17 while 21-year-old Norwegian Henrik Ingebrigtsen took a huge leap towards the world elite this season by first winning the European Championships in Helsinki and then crowning his 2012 campaign with a fifth place at the Olympics with a 3:35.43 national record. Kenya is the best country with 24 athletes in the world top 100. United States is second with 18 and Morocco third with ten. The 800m probably had the most varied and exciting ‘cast’ of main characters of any event in 2012. Although none could be considered part of the ‘old guard’, they included Mariya Savinova of Russia, Caster Semenya of South Africa, Kenyan duo Janeth Jepkosgei and Pamela Jelimo, Russia’s Yekaterina Poistogova, USA’s Alysia Montano, Fantu Magiso of Ethiopia and Francine Niyonsaba of Burundi. Although there was no clear favourite leading into the Games, Savinova ended up a clear winner and finished more than a second ahead of Semenya. A consummate championship runner, Savinova’s victory in London was just the latest in a long line of gold medals from the past four years, adding to those won at the European Indoors, World Indoors, Europeans and World Championships. Semenya, the sensation of 2009 and World champion that year, has been erratic in recent years but timed her peak well to run a season’s best of 1:57.23 in the Olympic final, once again taking silver behind Savinova as she did at last year’s World Championships. After making a successful comeback earlier in the year to win the World indoor title, 2008 Olympic champion Pamela Jelimo just missed out on an Olympic medal by six hundredths of a second. Beating her to the bronze medal was Russia’s Yekaterina Poistogova, part of a new breed of Russian middle-distance runners alongside European champion Yelena Arzhakova and Yelena Kofanova. 21-year-old Poistogova has this year improved her PB by almost five seconds, clocking a European under-23 best of 1:57.53 at the Olympics in London. This season also saw the emergence of two new teenage talents in the form of Magiso and Niyonsaba. After missing out on making last year’s World Championships final, Magiso progressed nicely to rewrite her own national record on three occasions and recording impressive wins in Rome and New York, the latter with a PB of 1:57.48. But an untimely injury meant she missed out on being at the Olympics. Niyonsaba, meanwhile, had shown no known form prior to 2012 but exploded on to the scene in July with a 1:59.11 clocking to win the African title. 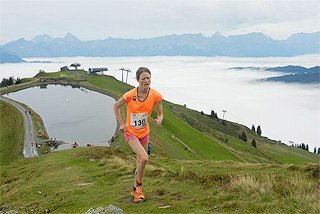 Her lack of experience showed in London and she finished just seventh in the Olympic final, but less than a month later she rebounded in Brussels to once again smash her PB with a 1:56.59 clocking, the second-fastest of the year and making her the third-fastest junior of all time behind Jelimo and Semenya. 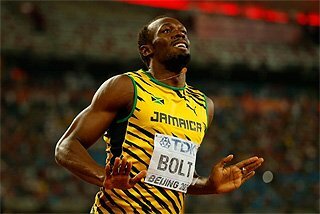 Should all these key players be fighting fit in 2013, next year’s World Championships women’s 800m final could see the same kind of depth witnessed in this year’s men’s Olympic 800m final! The 1500m has in recent years been somewhat lacking a clear profile and some kind of leader. 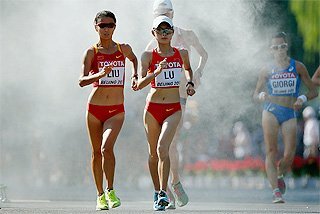 Typically in the last three global championships (Beijing 2008, Berlin 2009 and Daegu 2011) there have been nine different runners from six different nations taking the medals. No one had managed to reach the podium more than once. When 2012 started with the indoor season it finally looked like the event had found its leader. Genzebe Dibaba – in her early career typecast as a long distance runner like her older sisters – had moved down to the 1500m and found her event! Three extremely impressive wins in Düsseldorf, Karlsruhe and Birmingham were followed by an emphatic win at the World Indoors in Istanbul. It certainly looked like the Olympic gold was inevitable and that impression was further strengthened when the Diamond League season opened in Shanghai – Dibaba won by one-and-a-half seconds with an Ethiopian record of 3:57.77. But in sport nothing lasts forever and just 12 days later at the Rome Diamond League Dibaba found herself third behind compatriot Abeba Aregawi and Kenya’s Hellen Obiri. 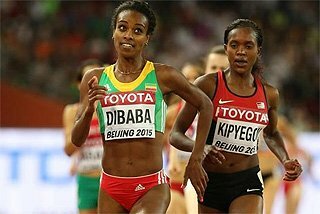 And Dibaba didn’t lose just the race; she lost the Ethiopian record as Aregawi floated away to 3:56.54 – the fastest time in the world for the last six years! 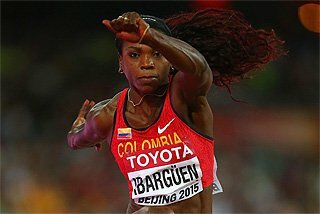 Aregawi – who led the 2011 world indoor lists – had certainly returned to the top after a year lost to injuries. With the Olympics creeping closer, now it was Aregawi who was in the driver’s seat. A week later at the Oslo Diamond League Aregawi once again handled Dibaba with ease, but in July there was a radical change in the 1500m world. At the Paris Diamond League, Aregawi – despite running 3:58.59 – found herself in third place, some two seconds behind Mariem Alaoui Selsouli of Morocco and Asli Cakir Alptekin of Turkey. Both Selsouli and Alptekin lowered their PBs by more than four seconds in one go. And if that was not enough, there was also Gamze Bulut to consider. The 20-year-old Turk had almost matched her compatriot Alptekin at the Europeans in Helsinki just five days before the latter ran her 3:56 in Paris. One month before the Olympics the form charts had been overturned once more – and that was before the Russians had been factored into the equation. They had not competed internationally during the summer, but their Olympic trio of Ekaterina Kostetskaya, Ekaterina Martynova and Tatyana Tomashova had all broken four minutes at their national championships to qualify for London. The outcome of the Olympic final was probably something no one had predicted – a Turkish 1-2. Bulut had set up the race with a very slow start (75-second first lap) followed by a gradual increase of pace which was capped by compatriot Alptekin sprinting past at the very end. The bronze went to two-time World champion Maryam Jamal. Aregawi – who next year will represent Sweden internationally – was lost in the shuffle and had to be content with fifth place, just 0.80 away from gold. But many of the other expected top contenders fared worse. Sub-four-minute runners Dibaba, Btissam Lakhouad and Martynova went out in the heats, while World champion Jenny Simpson exited in the semis. In the final, Kostetskaya and Obiri ended up ninth and 12th. 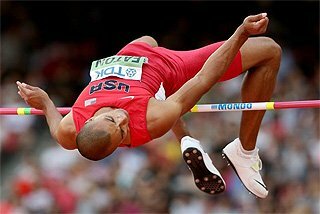 In the post-Olympic period, neither Alptekin nor Bulut – nor any of the Russians – competed again. Bronze medallist Jamal won in Stockholm ahead of Aregawi, but the latter bounced back to win the Diamond League final in Zurich, looking almost as supreme as she did in June. So while 2012 didn’t bring any further clarity to the women’s 1500m, it still gave some very exciting tasters for the future. Aregawi at her best seems to have all the tools to be the dominant force, and it will be very interesting to see how well Alptekin and Bulut manage to build upon their extraordinary achievements this year. This season also saw superb depth, after a relatively weak 2011 season in which no one broke four minutes. 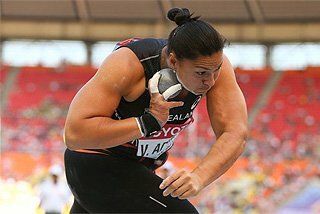 This year that mark was broken by 12 women – the most in one year since 1997 when Chinese athletes dominated the annual list. Hopefully 2010 World indoor champion Kalkidan Gezahegne will return to the scene after missing 2012, and maybe Faith Kipyegon – who was an emphatic winner at the World Junior Championships in Barcelona – can step up next year. Note: This year Jalava covers the men's side of the action and Julin the women's events.